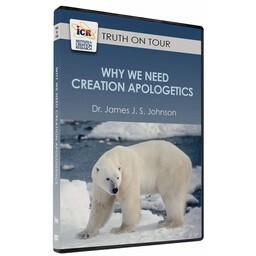 Dr. James Johnson serves ICR’s Christian education programs (including ICR’s School of Biblical Apologetics, Origins Matter Short Course series, and ACSI lectures). 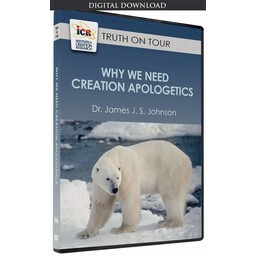 Previously he taught for LeTourneau University, Dallas Christian College, and Concordia University Texas (history, ethics, biosciences, ecology, apologetics, evidence, law, and international studies). 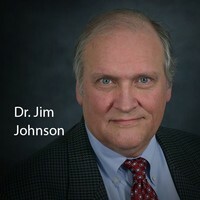 Johnson’s forensic science background includes a J.D. (University of North Carolina, 1984), trial attorney and judicial experience, two post-doc certifications, and American Academy of Forensic Sciences membership. As a paternity establishment officer (certified by the Texas Attorney General’s Office), he has provided expert testimony in court proceedings, as well as biogenetic family history analysis used to change Texas birth certificates. Dr. Johnson’s biblical studies background includes biblical languages study (American Bible Society Award, 1982, mostly for Hebrew and Aramaic), a Th.D. (Emmanuel College of Christian Studies, 1996), ACSI credentials, and service as a Protestant chaplain (BSA, National Capital Area). He is a contributor to Guide to Creation Basics and Creation Basics & Beyond.